We are excited to announce that Microsoft’s offering within Azure CDN is now generally available. Azure CDN from Microsoft provides Azure customers the ability to deliver content from Microsoft’s own global CDN network. This native CDN option was added alongside existing provider options from Verizon and Akamai in May of this year and is now ready for you to use with full SLAs, faster create and change speeds, more features such as bring-your-own-certificate and regional caching, and more locations. Cloud services require reliability, scale, agility and performance. Azure CDN delivers an easy to setup and use CDN platform to distribute your videos, files, web sites or other HTTP content to the world. With CDN services from Verizon, Akamai and now Microsoft, Azure CDN is built from the ground up to deliver best in class CDN services through our multi-CDN ecosystem all inside Azure’s flexible cloud service. 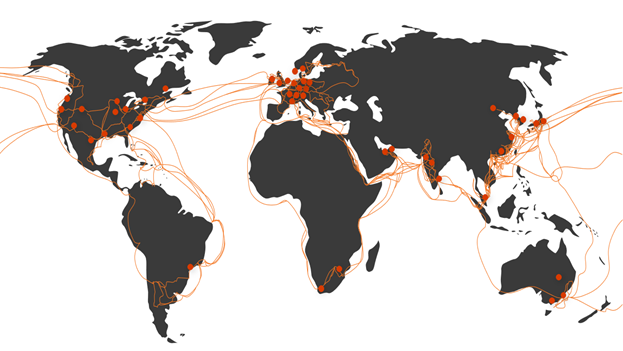 Azure CDN from Microsoft adds to this already rich portfolio of CDN services a Microsoft owned and operated CDN service, running at the Edge of Microsoft's Global Network. This highly seasoned anycast-based CDN platform provides direct, private access to content in Azure from each CDN Edge point of presence (POP). Azure CDN’s multi-CDN ecosystem enables you to manage CDN as an Azure resource; on demand and API driven. This flexibility along with three strong CDN infrastructures enables you to easily add multi-CDN as part of your content delivery story. Using these CDN solutions on their own, side-by-side in a multi-CDN solution or tiering them to maximize reliability, offload and performance, you can focus on optimizing your delivery to suit your business needs. Azure CDN from Verizon, Akamai, and now Microsoft will unlock opportunities for you to achieve more with Azure. Get started with the Azure CDN today! If you are interested in exploring capabilities beyond the standard offerings, please contact us at cdnteam@microsoft.com.